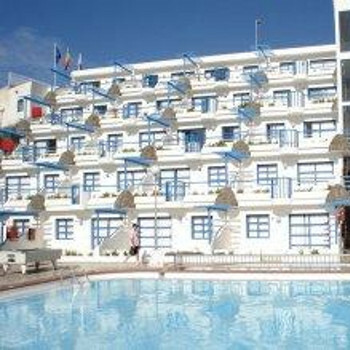 I booked the Aquasol Apartments online in November 2013 with the view of getting a cheap holiday to Gran Canaria for my wife and two other people and the Aquasol appartments appeared on the search results. So I made repeated contacts with the receptionist by the name of Dora who at every occasion sent me back a reply. I can be a bit of a pest when seeking replies to questions. We had reserved two apartments with Dora and then for final reviews done another search for peoples comments, some positive and some mostly negative. From the booking date right up to the morning of departure I still questioned my decision. But in my favor was the fact that Aquasol did not seek any deposit for the booking, payment was to be made upon arrival. On the morning of departure, i arose early and began to seek alternative accomodation. But decided to stick with my original booking, if when i got there and all was not well it did not cost me anything and i could leave very quickly. Was I wrong or what? Aquasol appartments were located at the very top of the hill overlooking the bay in Puerto Rico. The next stop was the small supermarket and then the beautiful mountain ranges with some great walks. For â‚¬40 per night what could you ask for?. Its a 10 minute walk down, but for â‚¬2.46 by taxi for four people would you walk up and down. When we arrived we were greeted by Dora the receptionist and taken to our rooms to view. Everything you need was present, clean rooms and bathrooms and all necessary utensils to self cater if you wish, even down to a coffee percolator. No smells or dirt as indicated by others We were allocated two apartments beside each other on the second floor with full view of the pool and bay below. It was peaceful and tranquil with no noise from the hussle and bustle of the centre of Puerto Rico. Throughout the week several others came and went. The total surroundings were great. What i cannot understand is the comments that were made by others about the Aquasol, I began to think I had arrived somewhere different. I found nothing to complain about at all. They have a small bar and restaurant that caters for all. The two guys that run it are always willing to advise on any matter. The menu provides cheap and tasty food and we tried a number of dishes, basic cost around â‚¬4.50. Thanks guys. For those who wish to loose some of the excess fat we gain on holiday the closeness of the mountains and the walks are great. I have been unfit for months and a few mornings we up and went across the mountains on foot. With beautiful and save walks and sunshine what a day. It does not mention this in any of the Aquasol reviews. its something perhaps Aquasol should consider in promotion material. We met several others from all countries even the goats are there to entertain. Would realy recommend this as a days activities. What more can I say. Would I return? Yes. Was it clean and tidy? Yes. Where the staff helpful? Yes. Would you recommend this to others? Most definitely. Was it expensive? You got be joking for â‚¬40. By on departure Dora told me that they are putting up offers for February and March 2014. Dora to you personnally I say A BIG THANK YOU and will see you again. We stayed at the Aquasol Aparthotel from Feb 9th to 16th 2010. We loved our time staying at the Aquasol. The rooms were clean the food at the bar taste great and the pool was good fun! The location was a bit out of the way but we walked down to the shopping center every day and it only took 15 minutes, but we always jumped a taxi back up costing only 2 euros! we would definately come back to the aquqsol as we enjoyed it a lot!! Booked a weeks stay with Travel Republic for the 1st week in November. We booked 2 rooms; 1 for us as a couple and another for family of four. We were delayed out by 9 hours, so I had rung the company and also emailed from the airport to say that we would be arriving the early hours of the following morning. I later checked my emails and was told that the message had been passed on to the complex. When we arrived at 3am there were 2 envelopes taped to the door as reception was not 24hr. There was only one key in one of the envelopes with our party name on it. THe other envelope was not in our name nor was there a key in it. I rang the rep on 24hr emergency mobile number and he said that he could not do anything about it until reception opened at 9am!! So here were 4 adults, a 7yr old and a 1 yr old baby with 1 apartment with only 2 beds!! The children were the only ones to get any sleep! When reception opened at 9am we were told that the family could have a room on the ground floor, which lead out to the pool! We said no, as the toddler could run straight out into the pool. THe man on reception admittedly did not have a clue. He said that he was covering whilst the owners were on holiday. He did not even apologise for the carry on with the rooms. He said that someone had "nicked" the keys. Later on in the week, we heard other people say that people had been turning up when reception was closed and just taking any key that they could find to get a room. It really was like Fawlty Towers apart from it was not funny to us! We had no toilet roll or towels when we arrived and the cleaners only came in once in the whole week and that was only to empty the bins. The apartment was very hot as the sun is there all of the day and there was no breeze at all. This did not help the smell of sewage that was permantly there. One of the plug sockets was hanging out of the wall. This was reported on the 2nd day and was not repaired before we left. I would NEVER go there again. It was dirty and was run by useless, unhelpful people. The rep was no help either. He should have come out at 2.30am to get us some keys to another apartment. I have never complained about any accomadation before but felt that I should give my opinion of these. The staff in the restaurant were grumpy too! We went to the beach every day to get away from the complex! The only good thing that I can say is there is a very good supermarket right across the road and the views from the hill are awesome. We arrived at 3 in the morning. Our beds had been slept in. One had a skid mark on. The fridge was iced up with an ice lolly in. The shower unit was in 3 pieces and dirt in the bath. There was dirty marks on the sofa in the living room. The toilets were up twice while we were there in 2 weeks a baby's nappy was brought out the first time and thrown in the bin outside our apartments and was still there when we left. A blood stain was on the underside of our wash basin and was still there when we left. Apart from this we had a nice time! NOT. What do you expect for a 2* apartments. It was clean and tidy, the rooms were basic but we expected that because it was self catering in 2* apartments. The staff were really really friendly (all English too apart from the cleaners) the food was fantastic, I mean I'm a fussy eater but I ate there every night. The rooms were nice and so was the pool area. The entertainment wasn't that good but it was ok because there was something for everyone down in the main resort. I would go back to these apartments tomorrow if I could. Where can I start!This was by far & away the very very worst place any human could stop at. My family and I go away to relax but could not do so due to the amount of cockroaches sharing our room. We requested another room , which we spent a full day moving, and to no avail, because, yes u guessed it cockroaches! Amaingly food was quite goood from the worst staff ive ever had the misfortune to encounter, Overall the worst holiday ever, the worst experience of staff ever and mostly the most embarresssing of questions by my two children ever. Please avoid at all cost. Dirty.Dirty.Dirty.Muckhole. If you only have a limited budget stay at home and treat the kids....please! The apartment smelt of raw sewage.... The apartment was cleaned only once in 5 days and the sheets were damp and itchy... What a joke. Worst pool bar ive ever seen... Enviromental health should pay a visit and shut the place down... No entertainment at all. Contrary to some reports we were greeted at reception and also helped with luggage by lovely man. Rooms were well equiped and clean. Cleaners came every day and were very thorough and friendly. The english bar was marvelous for food and friendliness. Yes it is at the top of a mountain but this posed no problem as loads of taxis available up and down .Altogether i would have no hesitation in going back to this hotel as i would be hard pushed to find any one as friendly in all my years of travel. highly recommnded.